A report from the Integrated Food Security Phase Classification (IPC), officially published in January 2019, has concluded that only 25 per cent of the population in Timor-Leste are food secure. Approximately 430,000 people (36 per cent) are chronically food insecure across twelve municipalities and the Special Administrative Region of Oecussi and Ambeno (SAROA). The analysis conducted in April 2018 underlined Ermera, Manufahi and the SAROA as areas of major concern. Covalima, Manatuto and Lautem are the other municipalities in Timor- Leste with a higher proportion of chronically food insecure populations. The major factors contributing to severe and moderate chronic food insecurity problems are listed by IPC as low agricultural productivity, low-value livelihood strategies, poor quality and quantity of food consumption and chronic undernutrition. The other factors that have compounded the situation in municipalities across Timor-Leste are inadequate financial and human capitals, a lack of infrastructure facilities and the negative impact of climate hazards and risks. The report states that the results of its analysis will remain unchanged for the next 3-5 years in the absence of any structural changes. One of the IPC’s primary recommendations for action is to expand investment in the agriculture sector, increasing crop productivity and output through improved facilities such as post-harvesting technologies and food-related infrastructure. 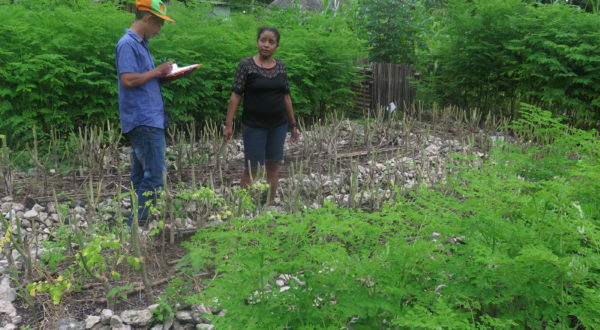 Hiam Health is helping to combat the high levels of malnutrition in Timor-Leste with its multi-disciplinary team of Timorese nationals who are professionally qualified in both nutrition and horticulture. Read more about the work of our partners here.